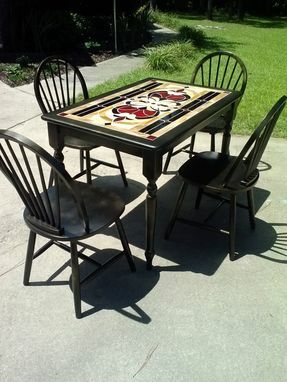 This lovely set is for sale, however, if you have a dining table you love and would like to keep, but the tabletop no longer looks too good - here is your perfect solution. 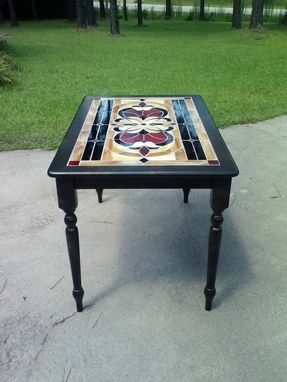 The mosaic can be laid on top of ANY table. Dining, console, side table, desks! The possibilities are endless. The design is made custom for you at no additional cost. We will match the style and color scheme of your home! You do not have to worry about damaging the mosaic, because tempered protection glass is also available! 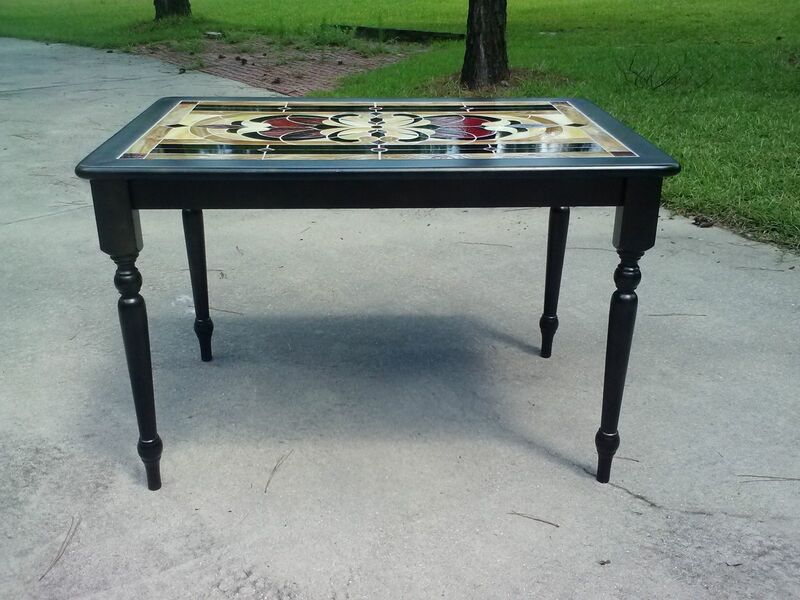 This lovely set is one of a kind, mosaic and finish by The Last Unicorn Stained Glass Studio. It is TRULY one of a kind! 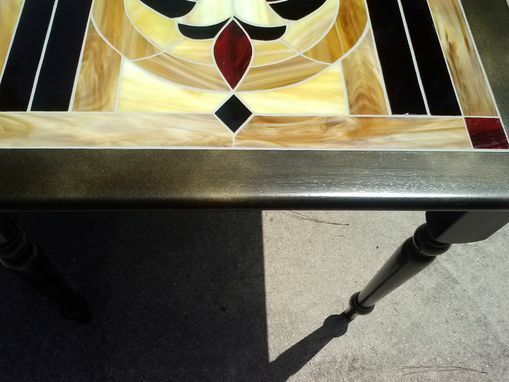 The finish is black with gold haze. 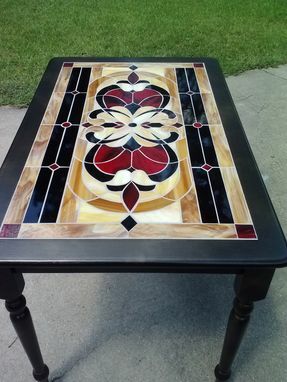 The color scheme and design of the finish and the mosaic is such that it would fit comfortably both in a traditional a hip home. It does not matter whether you have black or wood furniture. 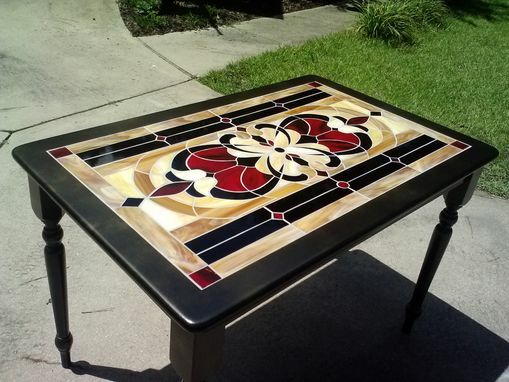 The tones of the mosaic and finish would compliment both! It is 30 h 28 W and 44 L You can choose to add protective tempered glass with beveled or penciled edge for extra $125. Contact the artist if you would like to add it to your order.